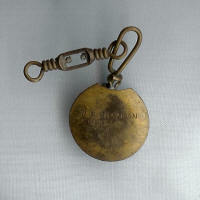 In 1844 antique fishing lure maker William Chapman married Mary Ryan, and was bestowed 6 children. 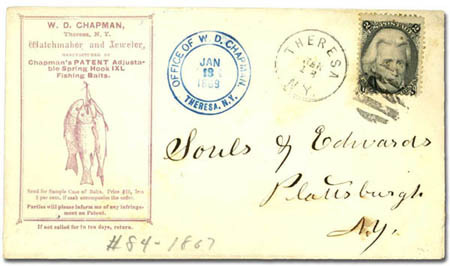 Like most families in the 19th century the Chapman's had their air share of sorrows as not all the children lived to be adults. Children; Mary Jane; George; Ada ; Ellen; Byron 1850-1985 (Who would later be a partner in Chapman and Son; and Lottie (Who's husband would also be inducted to the company; Perinne). 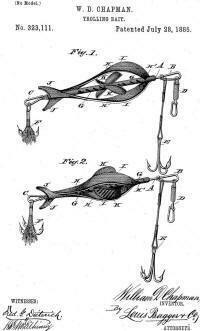 The Early Chapman antique fishing lure days remain elusive as far as noted history, although a few excerpts can be found in Arlan Carters' Book 19th Century Fishing Lures.